Big data is of no use, if that cannot be interpreted. Data, as the meaning goes, is only the collection of facts. It can turn into information and knowledge, only when that is interpreted. However, the data is of no importance, if there is no skill to analyze the same. For the specialists, who are having the skill, it can be done. It is definitely not an easy job for any one. For an amateur, this is something that is an inhuman task. The need here is some technology, which will be able to interpret the big data and ease the analysis for the end user. For a professional interpreter of data, here are some of the top skills that are essential. Technology related to interpretation of data can also be developed through the help of the following skills. Quantitative knowledge – Knowledge regarding statistics and pure arithmetic is essential for any interpreter. He or she must have to be proficient in the above areas, so that they can interpret the data style manually. Unless the interpretation can be done manually, presentation of that in the technical term will be really difficult. Programming – This is the area for the professionals alone. After the data has been manually interpreted, the technique that has been applied in it is jotted down. Now the same technique is to be expressed through the programmings. Hence, knowledge in Java or C++ is essential for any professional, designing a tool to interpret big data. SQL Skills – Programming will sort out the median value or the regression value, but the basic interpretation of data is not to be executed by those. Hence there is need of adequate knowledge in handling Excel or SQL. They are the things that are going to interpret the data in an analytic style. There are some of the other technological supports needed here too. Knowledge about Python, SAS and MATLAB is also essential for the specialist. Business knowledge – The data can be understood well by a specialist having skill in all the above areas. However, while the data is to be interpreted, it must be ready for use. Unless they are ready to be used in business, there remains no value of the interpretation even. Hence business knowledge is also required in the professional. He or she must have the idea about how the business firms or researchers look at the big data. What the data can give them and how they can serve their business must be cleared out. Collecting the idea of the business interpreters will allow the specialists to fetch out the exact details from the big data. Interpretation – Analysis and interpretation are never the same thing. Analysis is just to give the data a meaning, whereas interpretation is to find value from the meaning. Hence, after the analysis comes the interpretation. If there is no analysis, there is no point of interpretation. On the other hand, if there is no interpretation of analyzed data, the data itself is useless, since that do not procure any value. Hence, the final skill that the specialist must have is the skill of interpretation. For that, he or she will have to know the demand of the different firms and researchers. According to that, the interpretation will be shaped. With the five skills that are mentioned above, technology to interpret the big data sheets can be generated. Now, the question is what is the need of all these? There are two major outcomes of this time investment. Firstly, the data interpretation will be watched by the researchers, scientists and other professionals. When the interpreted data comes ready to them, they can expand their research area, since ample time will be left before them. On the other hand, general people or amateurs can also observe the interpretations and find eminent results. The duty and responsibility of technology is to serve the mankind. 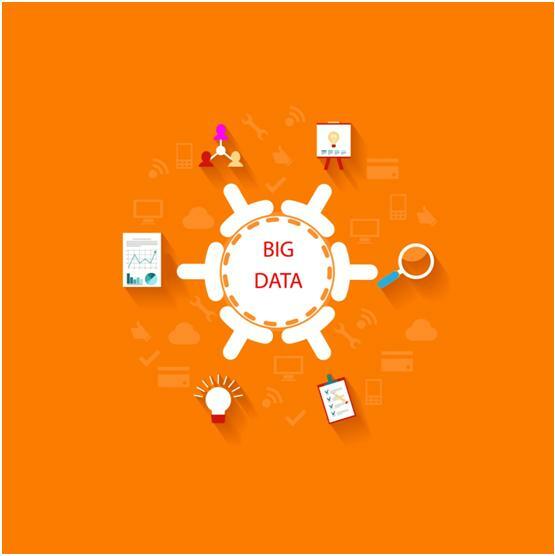 There is no better way to serve mankind than this one – interpretation of big data.